Firefighters put out a van fire in San Jose in front of a home for mentally disabled adults in the 1400 block of Donohue Drive in the Berryessa neighborhood. Feb. 3, 2015. 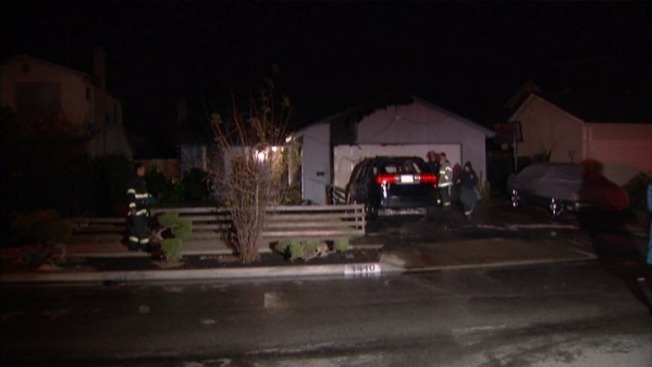 Firefighters put out a van fire in San Jose Tuesday morning in front of a home for mentally disabled adults. The first call came in at 3:55 a.m. in the 1400 block of Donohue Drive in the Berryessa neighborhood, San Jose firefighters said. Crews had the blaze under control at 4:26 a.m., and no one was injured, though the fire did spread to the garage.